Sinulog performances, street parade, reenactment of the arrival of the Señor Sto. Nino image in Cebu, and a feast of local cuisine marked the post-Sinulog celebration in the Bamboo Bay Community. The Halad Kaniño Sinulog Open House last Saturday, January 26, 2019, was in observance of an event that has become a yearly tradition for the community, said Jojie Benitez-Tajanlangit of Contempo Property Holdings, Inc.
She added in her welcome message that traditions of faith and culture like the Sinulog in Cebu serve to bind Cebuanos together and Bamboo Bay contributes to keeping the festival alive through its annual event. Contempo is the developer behind the three-tower condominium Bamboo Bay Community. SINULOG AT BAMBOO BAY. Dancers of Tribu Mabolokon from Mabolo perform a Sinulog number during the annual celebration at the Bamboo Bay Community. Many homeowners showed up for the post-Sinulog 2019 celebration in colorful festival outfits and some had on the typical Sinulog headdress of lace, ribbons, and feathers. A few brought their Sto. Niño images for the street dancing. They received a crash course on the Sinulog steps from the Cebu Normal University dance troupe shortly before the parade. To give the event more meaning, residents were also treated to a short historical explanation of the Sinulog through a reenactment of the arrival of Spanish conquistador Miguel Lopez de Legazpi. Performers comprising the Sinulog 2019 contingent from Mabolo, the Tribu Mabolokon, wowed guests with several performances. The group placed 7th in the ritual showdown and third in the street dancing categories during the Sinulog sa Barangay earlier this January. Contempo Property Holdings Inc. Founder and CEO Beverly Dayanan with performers during the annual Sinulog celebration at Bamboo Bay Community. The housing community is a project of Contempo. Bamboo Bay’s sales and marketing team showed interested guests around the community. The condominium also accepted model unit viewing after the Halad Kaniño Sinulog Open House. 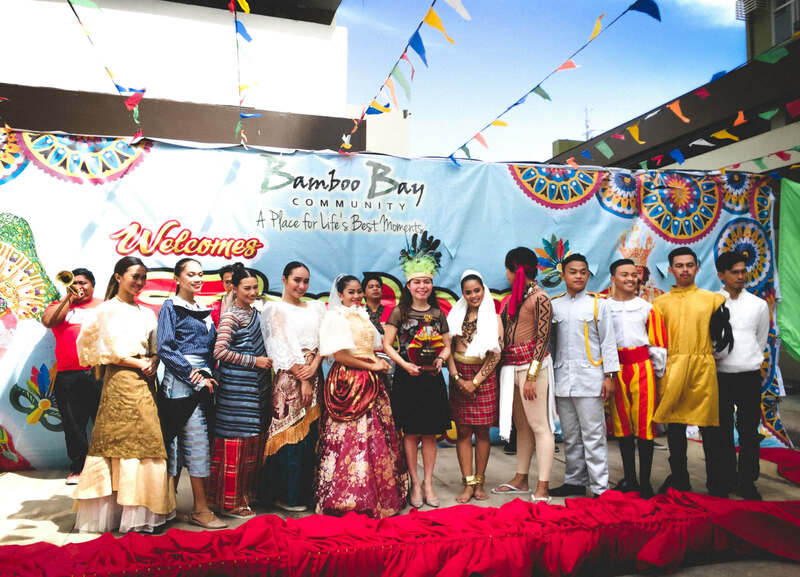 The Sinulog celebration entails a feast and Bamboo Bay prepared a sumptuous one for homeowners and guests. Lechon and other local food were served in the lunch buffet held at the community’s multi-purpose hall. A Halad Kañino exhibit featuring the works of Celso Pepito and several other artists was also ongoing at the Contempo Art Gallery. A few lucky guests won portrait sketching prizes during the event. SINULOG DANCE. Residents get a quick lesson from performers on how to dance the Sinulog routine. Bamboo Bay CommunityContempo Property HoldingsHalad Kaniño Sinulog Open HouseInc.